Life changes when your first child is born. All of a sudden you are whisked into a world where focus and priorities are forever altered and everything you do is accompanied by the thought “what is best for my child?” During the first year, there is so much to learn and do that new parents are often overwhelmed with the small things and little questions. This was especially true for my wife and me as we moved to the Boston area from Montreal only a couple weeks before my first son was born. When that initial parenting stage passed, our lives didn’t become any calmer, rather new activities took over and questions now arise that are often much more complex. My wife and I were raised in Conservative Jewish households. While my wife felt comfortable with this branch of Judaism, I never quite did. 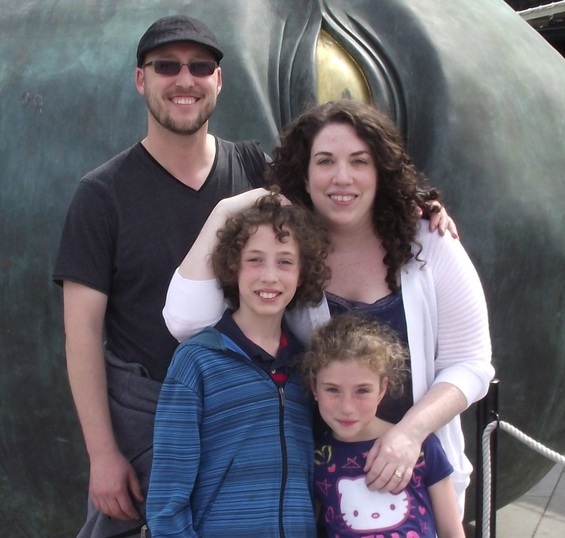 When life settled down after moving and having a baby, we both wanted to find our way back to some sort of Jewish community and were open to exploring wherever we might fit in. We joined a Reform synagogue, largely because we liked their kids programs. Now I felt comfortable, but my wife didn’t. As our son grew older and began attending the temple’s religious school and our daughter was at their nursery school, the question of how to include our faith and beliefs in our children’s lives became one that was harder to answer. This was especially true being in a community without our family and familiar surroundings to fall back on. When we heard that Parenting Through a Jewish Lens (then called Ikkarim) was being offered at our temple during the time my son was in religious school, and with babysitting available for my younger daughter, it was really a no brainer to sign up.